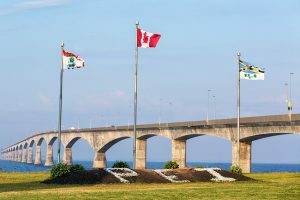 The Canadian province of Prince Edward Island will expand the list of devices covered by its extended producer responsibility law. Province officials last month added external hard drives, GPS devices, larger printers and copiers, video game equipment, e-book readers, and microwaves to the list of devices covered under the Environmental Protection Act. According to the Electronic Products Recycling Association, the stewardship group that manages e-scrap programs for nine Canadian provinces, the new additions take effect Aug. 1. Under provincial law, manufacturers are required to fund the end-of-life collection and recycling of certain electronic devices. Until the recent additions, Prince Edward Island’s program covered display devices, computers, mobile phones and more. The additions comes a few months after nearby Nova Scotia made similar changes to expand its e-scrap law. Adjacent New Brunswick’s program started in early 2017.